Photosynthesis, this is the plant’s natural process to make food with the presence of sunlight. Most plants die and wither when exposed to a limited amount of sunlight. But worry no more! If happens that you want to put a plant inside your home or maybe inside your office, there are still some plants which require only limited amounts of sunlight and water. One does not need to have a green thumb in taking care of the plants we will feature here in Henspark. As you read this “plant-inspired” article, you’ll be amaze that there are many plants (yes, not just ten actually, but will only feature top ten lists) that can survive even if watered once a week. You’ll also find out that some of the plants withered when exposed to direct sunlight. Let us become botanists this time and explore the magnificent world of plants! Jade plant’s scientific name is Crassula ovata. During the winter, this plant will definitely catch eyes as it blooms pink flowers and unique set of leaves. Even with these awesome features, this plant requires very minimal maintenance, all it need is a little bit of sunlight and you don’t have to water it everyday. It’s a tough plant even if it gets neglected. 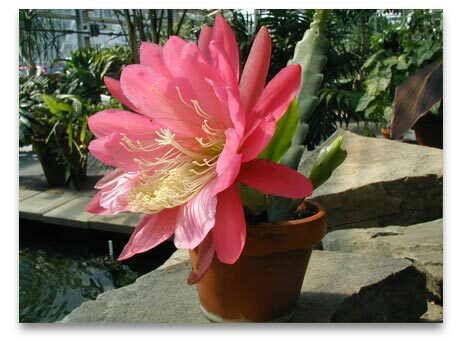 Christmas Cactus’ scientific name is Epiphyllum. This cactus is not the usual cactus that we get hurt when we try to touch it. Do not over water this plant, it just needs the right amount of water so that it will not be damaged. Some suggests that watering it once a week is enough as long as it gets the right amount of water. One unique characteristic of this plant is that it blooms only once a year which may adds color to the surroundings. 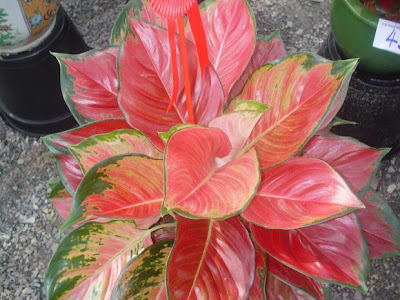 Chinese Evergreen’s scientific name is Aglaonema. The plant features large leaves with silver and green colors. This should not be placed under direct sunlight, its light tolerance to sunlight is from very low light to bright light only. Aside from the minimum amount of light required, its needs cool ambient temperature and less amounts of water only. This plant does not require a lot of attention to keep it alive. Just like the Peace Lily, this plant is also a natural air purifier, it removes xylene and formaldehyde present from the air. Ferns can be usually found in the shadows of the forest, where there is low light condition. 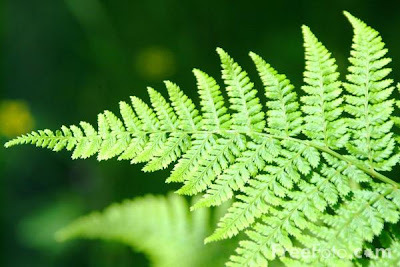 Actually, there are many types of ferns which needs only minimal amount of sunlight. But, they do need some humidity which can be solved by occasional misting. As a starter, one can take care of a certain variety called Bird’s Nest fern which is very easy to take good care. But if you want something more challenging, you may try the Maidenhair, another variety of fern. 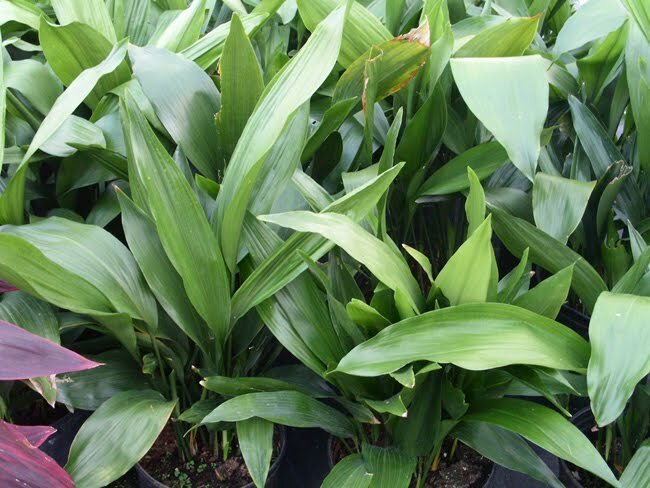 Cast Iron Plant is also known as Aspidistra or some call it as the “Barroom Plant”. 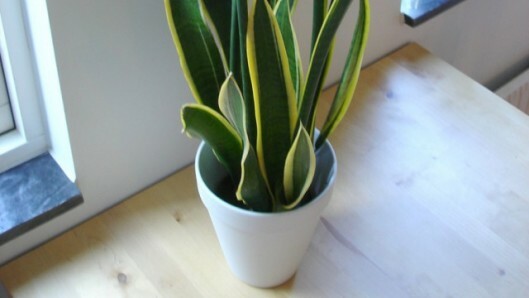 This plant has large green leaves with white stripes. Aside from being low maintenance, this plant is tough! It can stand infrequent watering and even irregular temperatures. 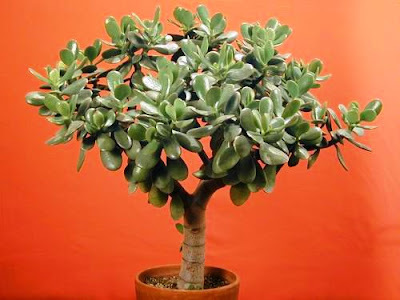 Its sturdiness makes it one of the popular indoor plants for it can survive all types of climatic conditions. 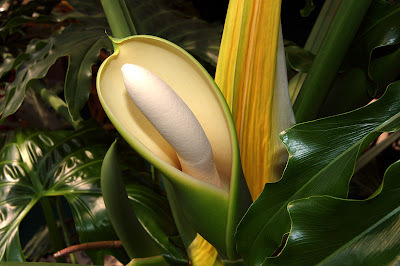 This plant has a pliant, tall and sword-type leaves, and it is closely related to the “Mother-in-Law Tongue” plant. The only difference between the two is the color of the edges of their leaves. The “Mother-in-Law Tongue” plant has yellow stripes while the Snake plant has green. It does not fully rely on sunlight, for it to survive all you have to do is never over water or never water it. Lucky Bamboo’s botanical name is Dracaena. Though it has the “bamboo” word on its name, it is not related to the bamboo family but instead it is a member of the lily family. It is one of the most Asian-inspired indoor decorations as it was long associated with the practice of Feng Shui. It was believed that it brings “luck”, that’s why it was called lucky bamboo. Usually, this plant is placed in water together with some rocks, the water should be changed once a week to ensure the plant’s health. Some put it in transparent vases, which is also very decorative to see because this plant grows vertically. 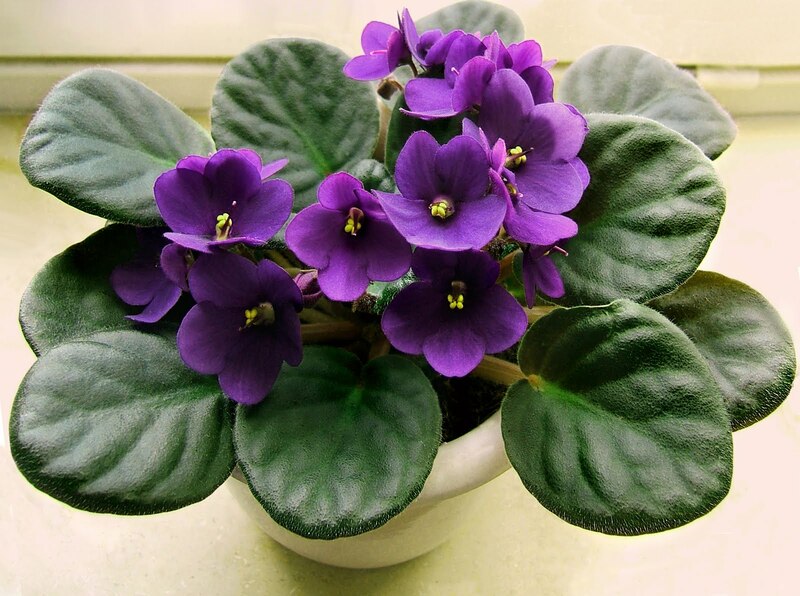 African Violet or Saintpaulia. This plant can live even if you water it only once a week. It is best if you will wait for the plant to dry out before watering it again, a very low maintenance type of plant. This kind of plant has variety of colors, purple, mauve and lavender and also bears a tow-toned flower. This is one of the best indoor plants because it adds color to an environment. Philodendron’s scientific Name is Philodendron bipinnatifidum. This plant was used since the Victorian era and is also known because it belongs to the family of plants with heart-shaped leaves. It can leave on minimal amounts of water but it should not be placed under direct sunlight. Placing it under low light areas is not a problem as long as the area’s temperature is around fifty degrees Fahrenheit (50 ⁰F). This plant prefers warm moist air. 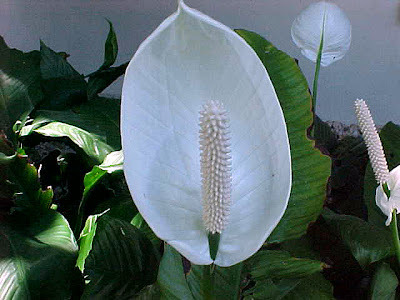 Peace Lily’s scientific name is Spathiphyllum, a plant which bears white flowers and dark green leaves. This plant has a unique ability that is why it is common to see inside a house and even in offices. Peace Lily cleans indoor contaminants such as benzene and formaldehyde, a natural air purifier. It should not be placed under direct sunlight or else its leaves might be damaged. 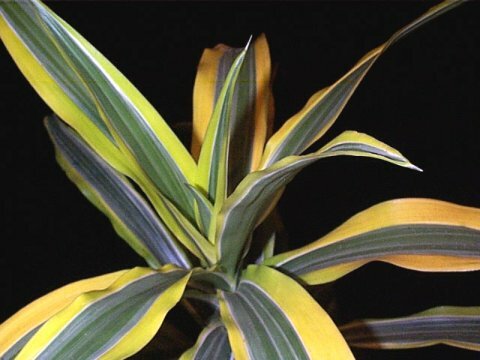 Its leaves will indicate a yellow color when it receives sunlight more than what is required. When this plant already needs water, its leaves started to droop, that is how this plant indicates what it needs. But beware, its leaves are mildly toxic, so ingestion should be avoided. Stunning but Dangerous Grid Waves in French Coast actually exist, take a look! Wow! Never knew that the world’s largest cave is in Vietnam and it’s so enchanting!